If you’re spending time in Mexico this summer, chances are you might visit San Jose del Cabo. San Jose del Cabo is a great place to visit during the summer, and there are tons of unique things to do in San Jose del Cabo. Here are some of the best things to do in San Jose del Cabo during the summer. When traveling with your family, there’s nothing that is a bigger hit than a dolphin tour. Kids love getting the chance to play with and even ride these fun and friendly animals. These tours involve the entire family with learning and interacting with the dolphins. San Jose del Cabo is known for its sophisticated nightlife atmosphere. Street vendors with unique art displays, food tastings, and live music all frequently populate the outdoors. At nighttime, it can be really fun to stroll around outside and soak in some culture. 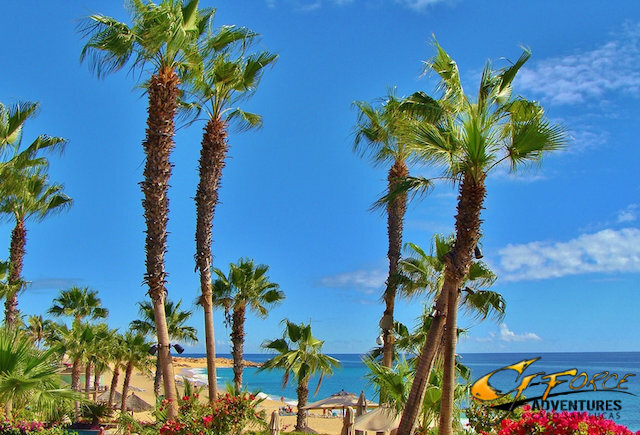 One of the best beaches in San Jose del Cabo, La Playita is a must-do. Some beaches are not ideal for swimming, but La Playita is a great choice if you’re looking to spend some time in the water. Spend the day relaxing on this gorgeous beach as the gentle waves roll in. For snorkelers, San Jose del Cabo provides tons of opportunities for great snorkeling. Also, the area is great for more advanced scuba divers, and there’s plenty of options for boats tours. San Jose del Cabo is a great area for outdoor adventures, so be sure to explore all the options. Now that you know some of the best things to do in San Jose del Cabo, learn more about Cabo San Lucas. Located right down the Baja highway, Cabo San Lucas is the younger sister city of San Jose. More focused on adventure, beaches, and nightlife, Cabo San Lucas is also an excellent Mexican vacation destination.